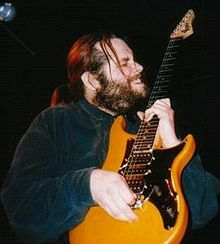 Shawn Lane (March 21, 1963 – September 26, 2003) was an American musician. He quickly became a noted player in underground guitar circles and joined Black Oak Arkansas when he was just fourteen years old. This page was last edited on 17 September 2018, at 19:53.